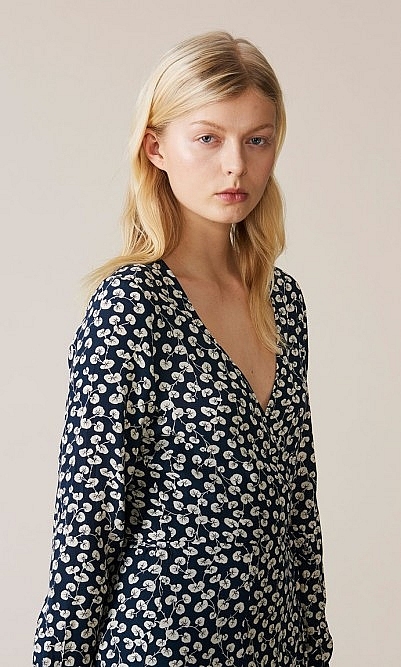 Flattering navy crepe dress in a pretty floral print. The wrap-around style has a skinny tie belt and is finished with long slim sleeves and buttoned cuffs. L135cm. Fabric and care: 100% viscose, a plant derived fibre. Gentle machine wash.